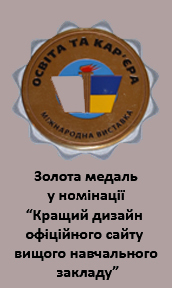 On September 17-21, 2012 the final conference on Tempus “The development of education on land resources management in Macedonia and Ukraine” was held in Kyiv National University of Building and Architecture(“LAGOS” 159184-2009-TEMPUS-SE-JPCR) (then- project LAGOS) which started in January, 2010. It was discussed advantages and problems of project LAGOS implementation in universities of Ukraine and Macedonia and evaluated the state of introducing new Master program on land resources management according to Bologna process in 4 Ukrainian Higher Educational Establishments till September 2012 including Lviv NAU. The issues aimed at developing relationship between education, science and industry in the field of land resources management were considered during the conference. Consortium members and representatives of production and science, post graduate students and other stakeholders took part. 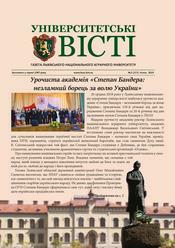 The results of the implementation of project LAGOS in Lviv NAU are the following: the curriculum of specialty “Land Resources Management” Master degree is developed; the educational materials in such disciplines as “Land Resources Management”, “Land consolidation”, “Economics of Land Resources”, “Legislature as to natural resources” are prepared and given to publishing; the potential of young teachers of land management faculty is created due to intensive studying and experience exchange; new academic IT environment is established (new computer class and software); it is strengthen the relationship between education and practice in land resources management; the exchange between students of Lviv NAU and St. Cyril and Methodius University (Macedonia) is conducted for internship in geodesy.